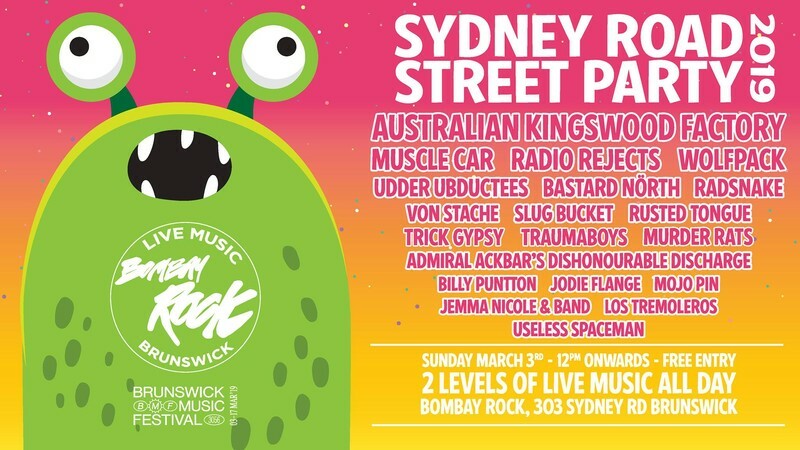 Bombay Rock are hosting our first ever Sydney Road Street Party event and we are pumped! To celebrate being included in this year's Brunswick Music Festival, we have put together a mind-blowing 20 band lineup that will be playing from midday over 2 separate levels. Sunday, March 3rd is going to be quite the party! Doors 11am; bands 12pm till late.